The Gatorz brand emerged in 1989 under one founding principle: create something as bold and unique as the people who would wear them—the elite. That inspired a new type of eyewear designed and engineered for the trifecta of fit, form, and function, and proudly made in the USA. Nearly 30 years later, Gatorz sunglasses—with their signature aluminum frame—maintain a reputation for exceptional performance in any situation, from the extreme to the everyday. Our evolution began with our passion for high-velocity sports, mainly on motorcycles. We designed our first aluminum-frame sunglasses to withstand riding at any speed, but still be comfortable—and look cool, of course. Unlike typical plastic sunglasses, our frames easily fit under a helmet; were adjustable to custom-fit the rider’s face; provided full coverage from wind, dust, and debris; and looked just as badass as the people wearing them. A few years later, with the trust and respect of the motorcycle riding community to our credit, some thrill-seeking action junkies decided to put these frames to the ultimate test: freefalling from 13,000 feet in an element where there’s no room for error. The glasses did not disappoint. They stayed in place and provided the same protection that earned a thumbs-up from riders. Plus, they shielded jumpers’ eyes from the sun. No eyewear on the market could do that kind of double duty. After that, this small, extremely passionate, adrenaline-loving crowd adopted Gatorz as their can’t-live-without sunglasses. We will be adding more as we go along. HockeyDogs offers your Tackla related needs, direct from TACKLA USA. If you are looking to find hockey pants that would give you the best protection and performance, you could not go wrong adding TACKLA to your repertoire. Tackla is the first to design and manufacture truly functional protective products to lead the industry during most of the 20th and the ongoing 21st centuries. The reason for the Tackla 800 is the biggest selling Ice hockey pants in the industry is twofold: 1) It is a product of high quality, 2) It is priced right. You will not be able to find a better hockey pants for the price offered by Montreal Hockey Company for its prized product. 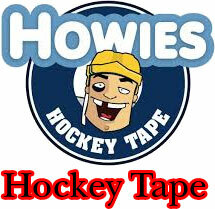 Recently I have come across a hockey tape company that produces one of the highest quality hockey tape you can find. The elasticity of the clear Shin Guard tape and water resistance of the cloth tape are exemplary. Those who have used Howie’s products readily testify to its high quality, performance and endurance. Though the Howie’s is relatively young company (since 2007), it has “grown to serve the NHL, AHL, NCAA, as well as pro-shops and leagues not only in the United States, but across the world.” It has grown into a global brand because of its ardent commitment to excellence and quality of service. Alongside Hockey Tape, those accessories offered include Bags, Water Bottles, Bottle Carriers, Skate Sharpening – Honing devices, Coaching Boards and more….. Apparel section includes Hoodies, Polo and Tank Top Shirts, Beanies, Hats and Lids plus a magnificent Belt in four colors, made by using original strong, lightly waxed hockey laces that would literally hug “jeans and a tee to khaki shorts.” Try Howie’s. Satisfaction Guaranteed . The parent company, Hockey West, an offshoot of Erina’s, Inc. was established in 1984. 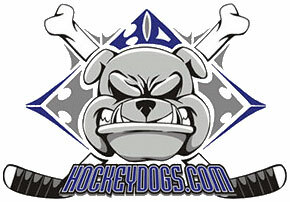 The HockeyDogs has trimmed its operations to fulfillment of Ice Hockey, Roller Hockey and Figure Skating products since 2011. While we are located in Southern California, a great number of our orders are fulfilled and shipped to you directly from the manufacturers. Our reach is the entire nation and our motto is “FAST AND SPEEDY” delivery of your needs at the lowest price and cost possible. HockeyDogs is the best place to get Tackla, JAMM and Frontier products. We draw from the Tackla – Montreal Hockey USA inventory and it is a rarity if you order any product and you don’t receive it in a relatively short time.